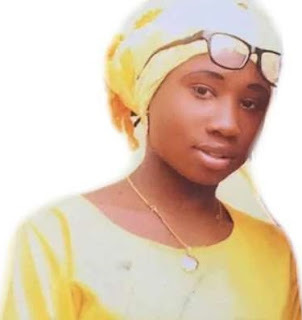 Leah Sharibu: "The Christian Association of Nigeria (CAN) and The Pentecostal Christian Association (PCA) reveal what will happen if Christian girl dies in captivity." Spare a thought for this true Christian child who has refused to renounce her Christian faith in the face of possible death threats from misbelievers. In the name of the Father, the Son, and the Holy Spirit, we welcome you to the website of New Order Christian Outreach Ministries (a.k.a. NOCOMIN or NEW ORDER). Our Ministry is dedicated to the propagation of the Gospel of our Lord Jesus Christ worldwide through undiluted 'common sense' Evangelism and Christian Education via assorted Christian info products and services. These include crusades, conventions, radio/Tv/Internet broadcasts, e-books, mp3s, newsletters, films, tracts, etc. As a committed Christian Ministry, the Holy Bible is our only source of inspiration. To enhance your personal growth in the Word, and to encourage sustained Christian Family Values, we post a Bible Story on this website... everyday! May the Almighty Father guard, guide, and bless you and yours now, and forever more... Amen!